Aunt Jemima's Revenge: Happy St. Patrick's Day Folks! 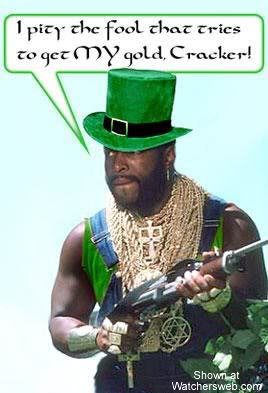 Happy St. Patrick's Day Folks! Have a safe and sane St. Patrick's Day. Get a designated driver if you go out. Professor Tracey has to work tomorrow, so it's a semi-quiet night at home. 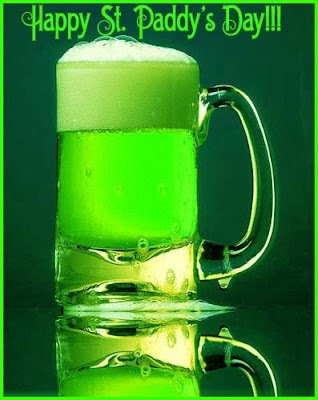 I'll be trying my hand at making some green beer and watching the second season of Big Love. Gotta think of something to cook, I'm thinking more of snacks than a serious dinner. Any suggestions? I'm starting to forget about this holiday, since I really don't celebrate it (have to work, myself). Enjoy it!